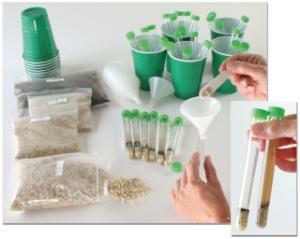 In this hands-on project, students assemble their own Sediment Settler by adding four types of particles, in varying sizes and densities, to a plastic tube with screw cap. Once assembled, students observe their Sediment Settler before and after adding water, and compare settling time with particle size. Includes instructions for addressing two levels of National Standards.